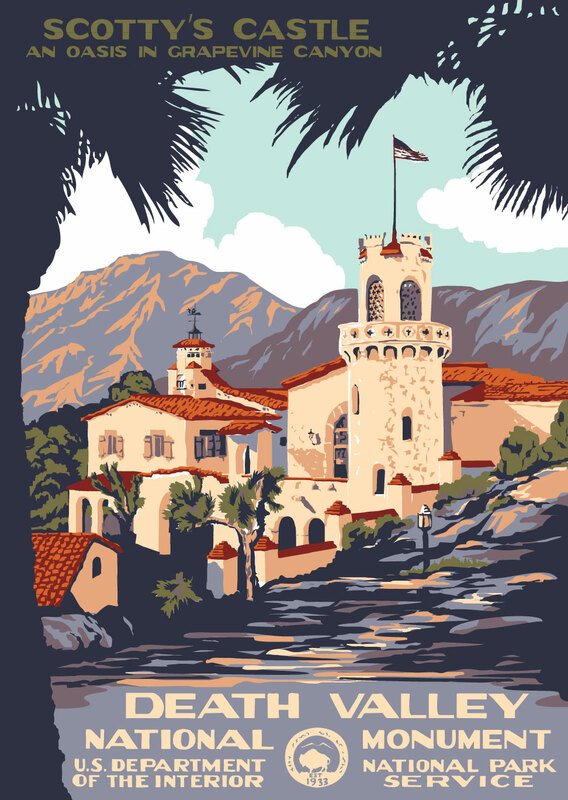 Death Valley (Scotty's Castle) is now available as a serigraph print for $40.00. This is our 40th design and will be included in our Series V note cards along with Arctic Refuge, Badlands, Big Bend, Everglades, Glacier Bay, Joshua Tree and Statue of Liberty. Also available in post cards. On our drawing boards are Dinosaur & Redwood State and National Parks among others.